Madeleine grew up in Paris, France in a multicultural environment, and completed a BSc in Biochemistry at McGill University, a MSc in Pharmacology and a PhD in Neuroscience from King’s College London, UK. She has been a post-doctoral fellow working in Prof. Frank Gertler’s lab at the Koch Institute for Integrative Cancer Research for 5 years, trying to understand how metastasis, the dissemination of tumor cells throughout the body, occurs and how it affects response to chemotherapy. To find out more about her research, listen to this podcast! 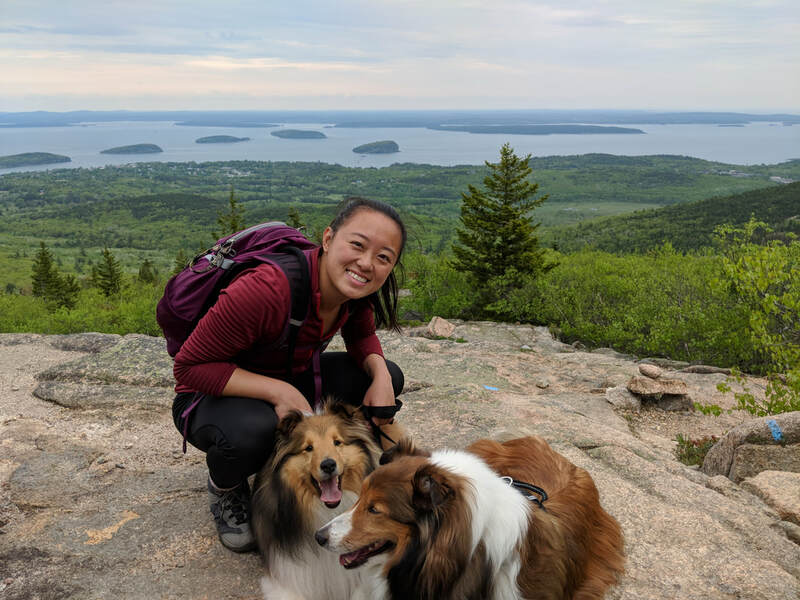 When she is not working hard in the lab, she enjoys traveling around the world, discovering new places and doing high-risk, high-adrenaline sports like flying trapeze and rock climbing. Research Interests:Samantha become interested in the field of Regenerative Medicine during her Undergraduate and Master's programs at the University of Guelph in Canada, where she investigated the mechanism of tail regeneration, specifically the regeneration of blood vessels, in a gecko model. She continued to pursue this interest from a new angle during her PhD at the University of Toronto by combining neural stem cells and biomaterials for delivery to promote repair and regeneration in the stroke-injured rodent brain. Not one to stick to a single topic, her current research in the Oudin Lab aims to explore the role of bioelectric signaling in cell behaviour and tissue patterning, with a focus on cancer cell metastasis, with an overall goal of understanding the full spectrum of regeneration-tumourigenesis-degeneration. Outside of the lab Samantha enjoys playing guitar, yoga, and hiking. Research Interests: The role of innervation in cancer growth and metastasis; Tumor microenvironment; Immunotherapy. ​Research interests: Jackson grew up in Napa, CA in the heart of wine country, before completing his B.S. in Microbiology at the University of California, Santa Barbara. Following a brief stint working in biotech, he moved to Boston to pursue research on novel therapeutics designed to treat non-small cell lung cancer, working in Dr. Jeff Engelman’s lab at Massachusetts General Hospital. Since September 2017 he has been working towards a Ph.D. at Tufts Medical School, and as of May 2018 he has joined the Oudin Lab for his thesis research, where he will study how secreted modifiers of the extracellular matrix contribute to metastatic potential. Beyond science, Jackson is a lover and creator of music, and carries a borderline pathological devotion to San Francisco sports teams. Research interests: I am interested in understanding how cancer cells manipulate normal cellular processes to their advantage and how this information can be applied to inform diagnostics and therapeutic interventions. My prior work has involved cancer secretomics, investigating the potential of nuclear transport proteins as biomarkers for prevalent South African cancers. I also have a background in fibroblast research, investigating the wound healing response of fibroblasts when exposed to stem cell conditioned medium in vitro, looking particularly at the regulation of extracellular matrix factors. I am excited to be applying insights from my previous work to my research in the Oudin lab, where I will be looking at how extracellular matrix cues drive cancer metastasis. Research Interests: I am interested in the effects of extracellular environments on cell behavior and the field of genetic engineering. Research Interests: Effects of membrane potential and external electric fields on tumor cells, as well as immunotherapies for cancer. We are always looking for talented and motivated individuals to join our team. If you are an undergraduate researcher, please send Professor Oudin an email. If you are interested in graduate school in the BME department at Tufts, please see this page. If you are interested in post-doctoral opportunities in the lab, please contact Professor Oudin directly with a CV, your research interests and references. Our lab will use an interdisciplinary approach to tackle metastasis and drug resistance, working at the intersection of biology, engineering and translational research. We will combine cell biology, microfluidics, tissue engineering, intravital imaging, systems biology and implantable devices. The lab is located at Tufts University in the Biomedical Engineering Department in Boston. We are in a brand new interdisciplinary building with biologists, chemical and biological engineers with open lab space and shared core facilities. We will closely collaborate with cancer researchers and clinicians at Tufts and in the Boston area.